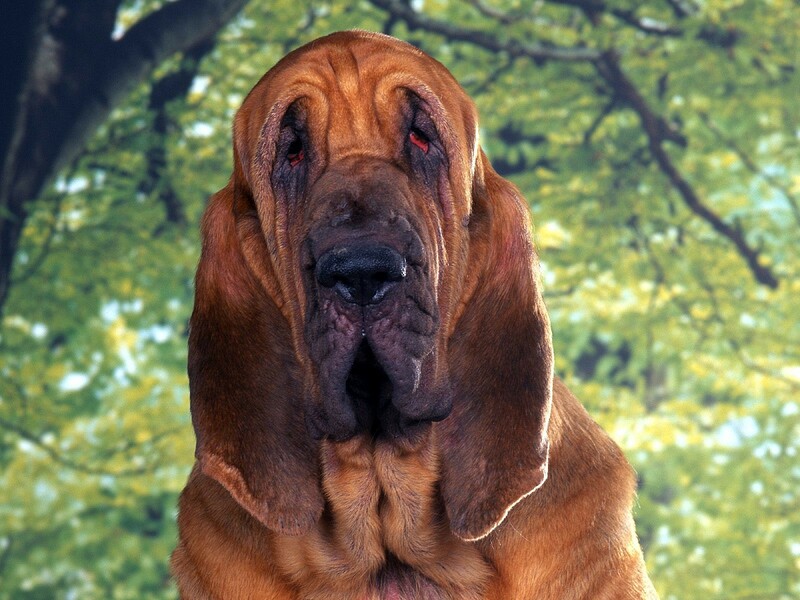 Photos of the balanced, good-natured and stubborn hunter bloodhound. Photos of the balanced, good-natured and stubborn hunter bloodhound. This breed is, of course, also an excellent search engine, just very rarely shows aggression, and therefore is man's best friend. Beautiful dogs and puppies of large and small breeds posing in photos of high resolution. High quality pictures with dogs.